Over 9 million UK households have now chosen Satellite as their digital TV provider. 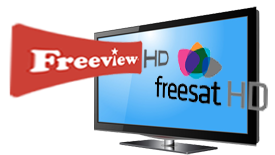 With a range of viewing options Satellite TV offers you choice and control over how and when you watch your favourite TV programmes. Award-winning Satellite Broadband and Satellite Talk services, reaching over 2 million homes. To discuss your Satellite TV options Contact Aerialwork on 07974 435 166 or use the call-back request below and we will call you back.